Length of rule: 16 years. The al-Thani clan has ruled Qatar for nearly 200 years. 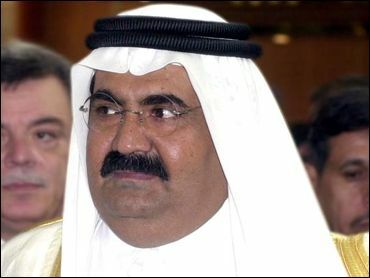 Sheikh Hamad took power in a non-violent palace coup in 1995. The Christian Science Monitor writes: "In the summer of 1995, after getting the blessings of the various al-Thani factions, Sheikh Hamad staged a bloodless coup, calling his father at a Zurich hotel, according to local legend, and simply informing him of the change. His father, so it is told, hung up." Most despotic acts: Like many of its neighbors, the controversial host of the 2022 World Cup in soccer is accused of many human rights abuses when it comes to its foreign workers, like setting them up in squalid labor camps separate from society, confiscating their passports upon arrival, and giving them a general lack of rights. That said, Amnesty International reports only sporadic instances of torture and abuse by state security forces. As for Sheikh Hamad's dictatorial bona fides, The New York Times writes: "While Qatar calls for democracy outside its borders, democracy here is provisional at best. While there are municipal elections, and women can vote in them, the country has a Parliament building but no Parliament -- or any other political institution, for that matter -- that can challenge the royal family's grip on power." Outlook for change: There have been no reports of internal dissent in Qatar. It does have a somewhat incongruous foreign policy, however, as it not only supported Saudi Arabia's move to send troops to help crush the Bahrain protests, but Qatar is also still the only Middle Eastern country to send warplanes to assist the Libyan rebels attempt to oust Muammar Qaddafi. These moves are all apparently part of the natural gas-rich Qatar government's efforts to become a major player in world affairs, which seem to garner it support from the West and its neighbors alike, making any unplanned internal democratic transition very unlikely. Population: 848,016; Arab 40 percent, Indian 18 percent, Pakistani 18 percent, Iranian 10 percent, other 14 percent; Median Age is 31. Constitution and the Rule of Law: Emirate; Everyday law based on Islamic and civil law codes.